КВ-1 "За Родину!" и подбитый германский Т-4. 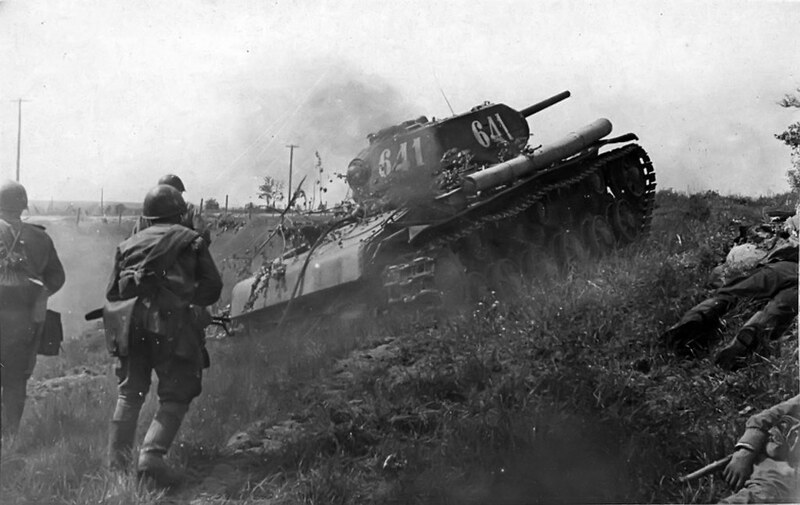 Soviet tank KV-1 and knocked German Pz.Kpfw.IV . Советские танки КВ-1 и БТ-5. KW-1 + BT-5 radziecki czolgi II wojny swiatowej. Бей фашистов! Тяжелый танк КВ-1 с пушкой Л-11. 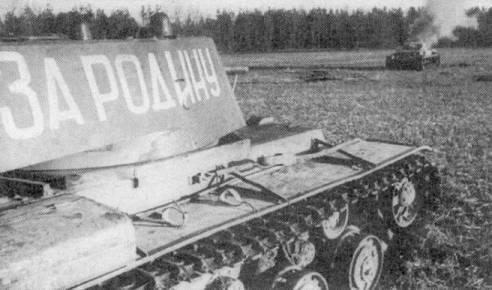 Foto char de combat KV-1. 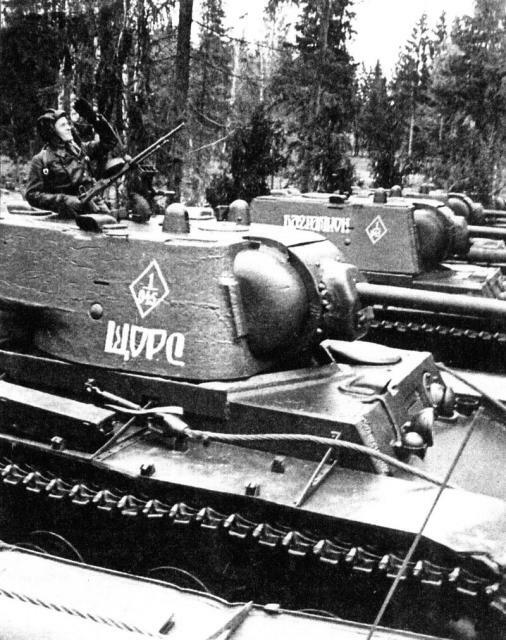 "One hundred of our tanks, which about a third were PzKpfw IV, occupied their positions against a counter-strike. Part of our forces met the enemy frontaly, but most of them were in their flanks. They hit the steel monsters from the three sides, but the attempts to destroy them were unsuccessful. By the contrary, it were our tanks the ones who were knocked-out. 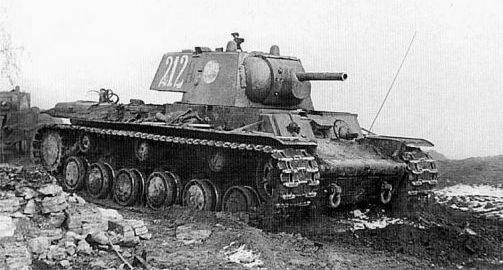 After a long struggle with the Soviet giants, the German armoured units began to withdraw trying to avoid the aniquilation. 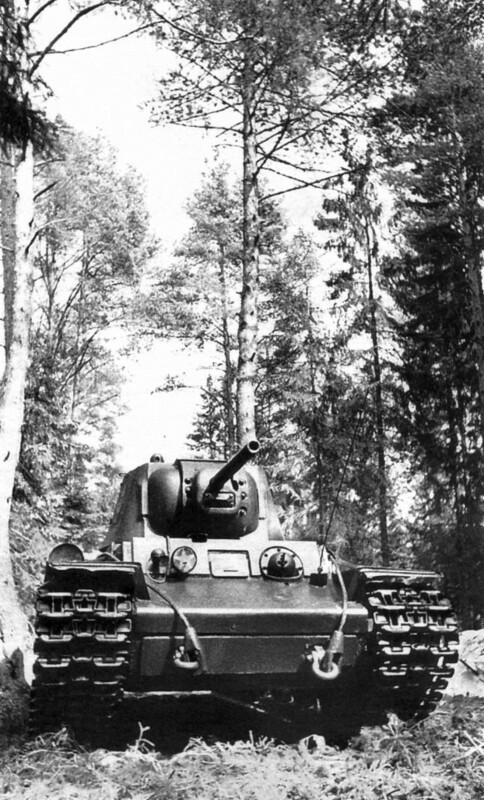 [...] One of them [the KVs] get close to a panzer who was stuck in a moody brook. Without hesitation, the black monster just roll over it, crushing it completely. At that time, arrived a German howitzer of 105 mm; its commander, seeing the aproximation of enemy tanks, ordered to open a continue fire, without causing any damage. One of them [the KVs] get close to 100m of the howitzer, which fired again, and its grenate hit the tank with all its strenght. The tanks stopped as hit by a lightning. "We made it!" thought the gunners. "Yes, we made it!!! ", told the captain of the piece. But the expresson in their faces suddenly changed when one of them shouted: "It's moving again!!". There was no doubt when the shining caterpillar get close to the howitzer and crushed it as a toy, keep on moving later as nothing would happened." In that battle, the KVs of the 2nd Armoured Division claimed to destroy 40 panzers and 40 guns (most of them anti-tank guns of 37 mm, crushed the same way that the howitzer). 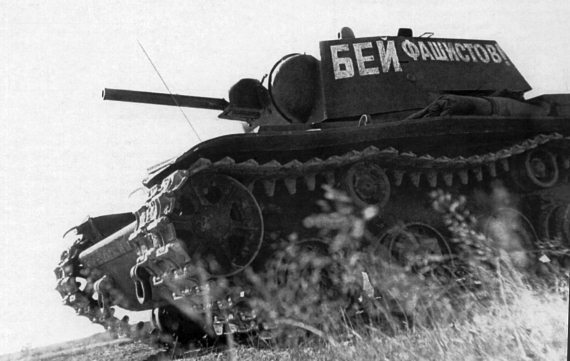 "It must be noted the good work made by the 4th, 8th and 15th Mechanized Corps, that demostrated that a single KV was equal to 10-14 enemy tanks in combat." "The tanks KV left the enemy literally shocked. They resist the fire of any type of cannon which the German tanks would be armed. But, what a image offered when they came back from combat! Their armour were full of holes for everywhere, and sometimes even the cannons were perforated." "In the sector of the 107th Division, we sent a KV to silence an enemy anti-tank battery. It [the KV] crushed the artillery, it went all over upwards and downwards the emplacements of the enemy guns, it was hit more than 200 times, but the armour wasn't penetrated, even when it was hit by guns of every type." Танки 52-й бригады - КВ-1 и Т-34. KV-1 + T-34 carros de combate sovietico. Глава 1.4. Оружие как фактор эволюции.